Battlefield Edinburgh, originally uploaded by alister. 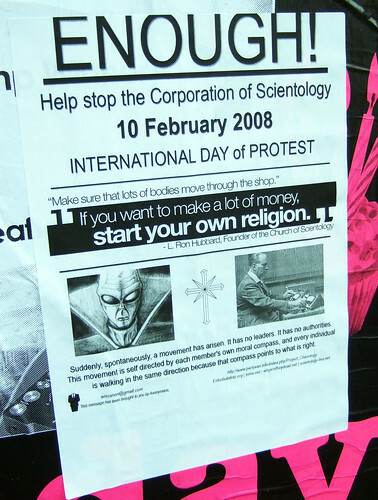 Spotted outside the 'Hubbard dianetics centre' aka 'Hubbard centre for personal independence'. Around 150 turned up it was reported.